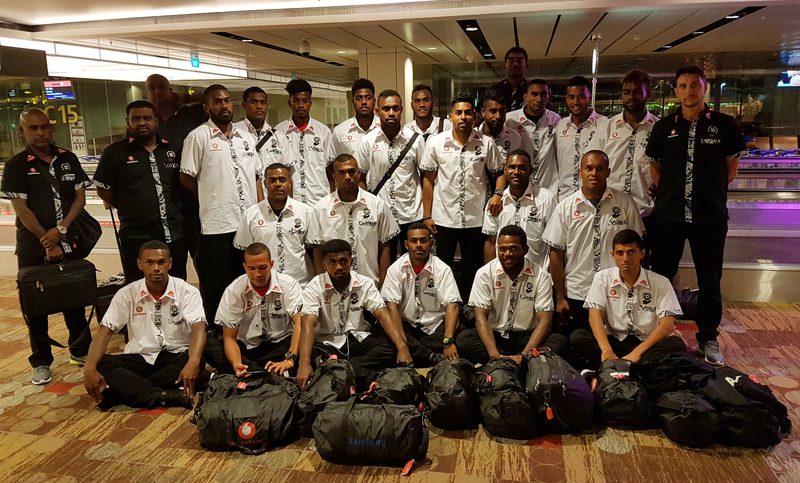 The Vodafone National Football team is all set for Indonesia tour. Despite facing some challenges during the preparation phase, the team is all geared up as they left our shores for Indonesia tonight. Speaking at the Nadi International Airport, head coach Christophe Gamel is adamant that his young brigade is ready for the international friendly. “I need to give a big background to my young players against bigger teams and I expect them to display the type of play that I look forward to compete. “I don’t know for how long it will be and whether it will be easy, but the most important thing is that they stay in this state of mind by keeping possession, creating problem and also disturbing the players as I know Indonesia is a good team. “Technically the type of play is possession and when they lose the ball, they are directly aggressive and I want my players to create trouble on this,” he said. Gamel said despite some challenges, their focus remains on mission 2026. “This camp had been really hard as I could not get all the players. The team plays Indonesia national team on Saturday, September 2, before playing Persiga a top League team in Jakarta.